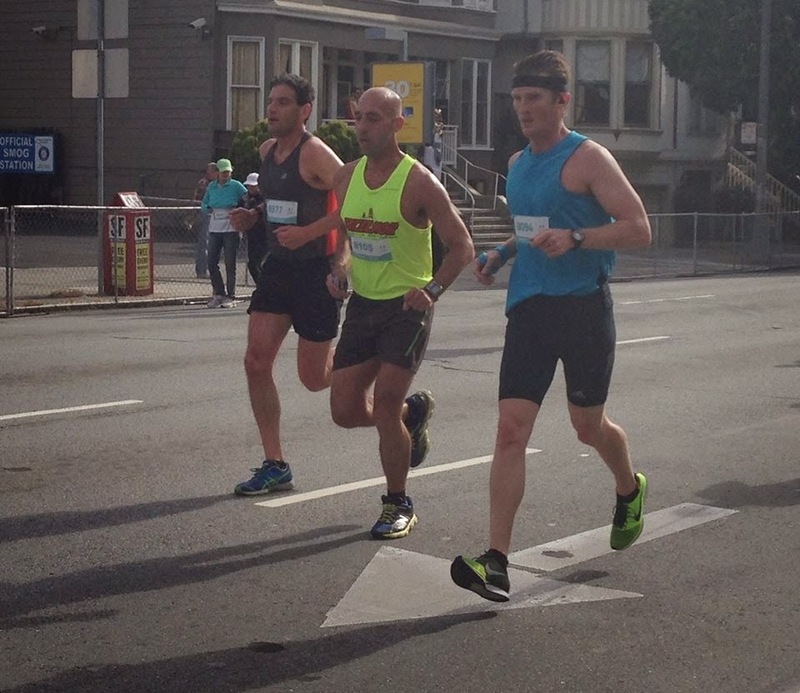 In the past, I have not had the kindest things to say about the Bay to Beakers race held each May in San Francisco. From afar, Bay to Breakers always seemed like some huge mob scene, a mass of San Francisco style exhibitionism that had over taken an event which once upon a time had been a running race. But as I often say, “Don’t criticize what you don’t understand”. So when a friend asked my wife and I to join her for the 2014 running of Bay to Breakers, I agreed. I figured I should at least try to understand this race for myself so decided to finally experience it once and for all. And yes, I had a blast. The crowds were full of an enthusiastic energy all the runners easily fed off of. It certainly got me going, as I “high fived” a few spectators along the way. Bay to Breakers actually felt like a race, not some big crazy party drowning out the running part. There’s something special and hallowed about running the historic race course that’s been run since 1912, which has emerged as the site of one of San Francisco’s major cultural events. Whatever Bay to Breakers was going to throw at me, I was going to do my best to simply embrace that moment. Of course, you know how that first “conservative mile” went. I busted it out at 5:55. Putting on the brakes bit over the second mile, I struggled up the Hayes Street Hill and was getting pretty worried I was in a lot of trouble as I slowly worked it up the hill as other runners moved past me. But I pulled myself together, got a good pace going through Golden Gate Park working the downhills and finished in 47:09 over the 12 kilometer distance (6:20 per mile pace), good for 199th overall and 9th in the 45-49 male age group.